Back-up cameras help you see objects directly behind you while backing. Remember to always look over your shoulder and in your mirrors as you back up. What It Does: Shows a wide view behind your car while in reverse, even at night. What It Does Not Do: View may not be clear if lens is obscured by snow, dirt or direct sunlight. Check behind you by looking over your shoulders and using your mirrors. 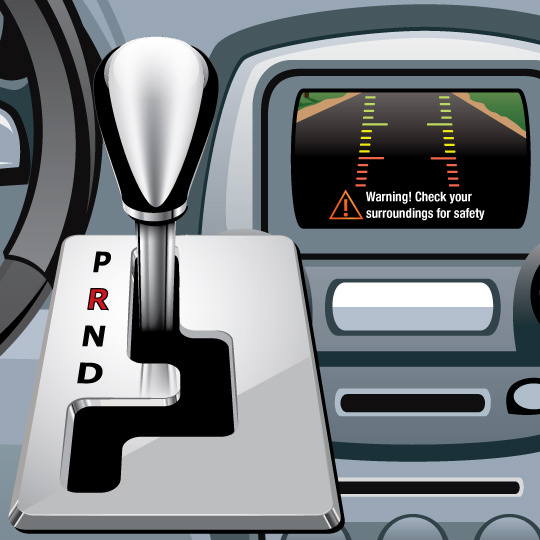 Shift your car into reverse to activate the back-up camera. 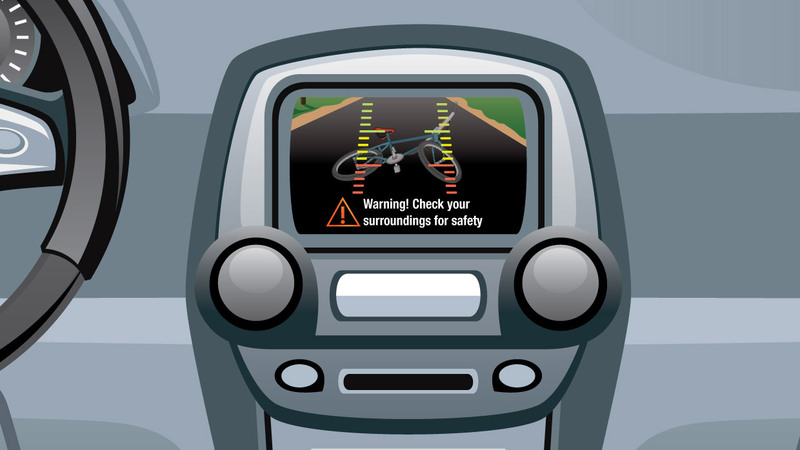 As you back up, check the monitor for objects while also staying aware your surroundings. After you shift into reverse, the back-up camera activates to show you what is behind your car. 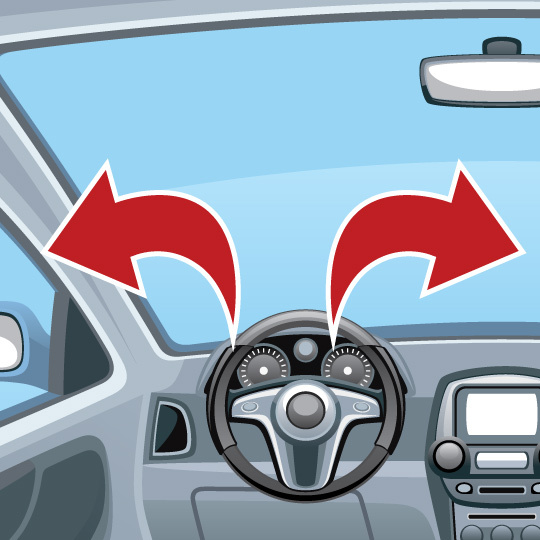 Depending on your vehicle, the display screen may be found on the center console, in your rearview mirror or even in your sun visor. 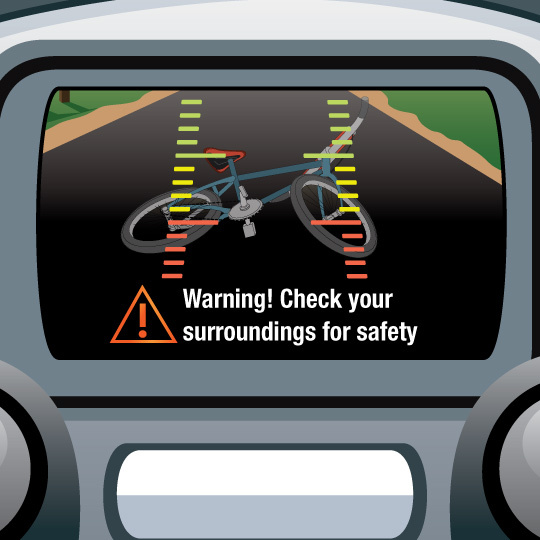 A camera, usually mounted on the rear of your vehicle, shows a view of the area behind you. Some systems incorporate lines to show you your backing path in the display. First, make sure you walk behind your car to check for objects. Then, turn the back-up camera on by shifting your car into reverse while you’re holding your brake. As you’re backing, continue to check over your shoulders and use your side and rearview mirrors to see anything the back-up camera is not capturing. Always be sure that you’ve physically checked behind the car before backing out of a driveway or parking spot. There are some objects that the back-up camera may not detect, especially if they are close to the ground or under the car. Will back-up cameras be required on all new cars at some point? While many new cars today have them, by 2018, the federal government is requiring that all vehicles are equipped with a rear-view camera. How do back-up cameras promote safety? Unintentional back-overs cause approximately 210 fatalities and 15,000 injuries each year, many involving infants or children, according to the National Highway Traffic Safety Administration. Camera systems have been shown to be more effective than simple sensors systems that beep when an object is detected. Can I get this feature even after I've already bought my car? In many cases, yes. Your dealer may be able to install one for you, or you may be able to purchase a system from an auto parts store that you can install yourself. Insurance Institute for Highway Safety article: "Preventing driveway tragedies: Rear cameras help drivers see behind them"
Are you ready for your next challenge? Dive into Back-up Camera and more in our Deeper Learning section. Play interactive games and take quizzes to see how much you’ve learned so far.